Now, we may not get many days of full on, blasting tropical sun blasting down here at the cosmetic clinic in Nottingham but don’t let that lull you into a false sense of security. It is still possible to get sun damage in Nottingham and you should take steps to protect your skin from UV rays all year round. Sun damage isn’t just about red, painful sunburn which you can see and feel after too many hours on the beach with too low an SPF; the sun’s rays can also lead to irregular skin pigmentation and accelerate the signs of ageing too, so it really does pay to protect your skin from sun damage. As we have already mentioned, you don’t have to be sunning yourself on some tropical beach for sun damage to wreak havoc on your skin. It is something that build up over time and can take place even on what might seem like a fairly cloudy or not too hot day. We’ve compiled a list of ways that you can help protect your skin from sun damage, even if you’re just popping to the local shop for a pint of milk. Although the weather in the East Midlands might not be able to match that of Spain or Italy, it is still possible to damage your skin while out and about in the UK. One of the best ways of protecting your skin is to use sunscreen, but there are several excellent quality foundations and moisturisers also available that have built-in UV protection. This helps to fend off damage caused by the sun each day. Remember, skin damage can occur when you least expect it, so make sure you always use products with built-in UV protection, even if it’s looking overcast outside. Our skin has it tough. With airborne pollutants, makeup and the sun to contend with, it really does pay to be kind to the skin by providing it with the nutrients it needs to regenerate and repair through a balanced diet. A good way to boost skin health is by drinking green tea, as it’s filled with vitamins C and E. Both are essential for skin health. 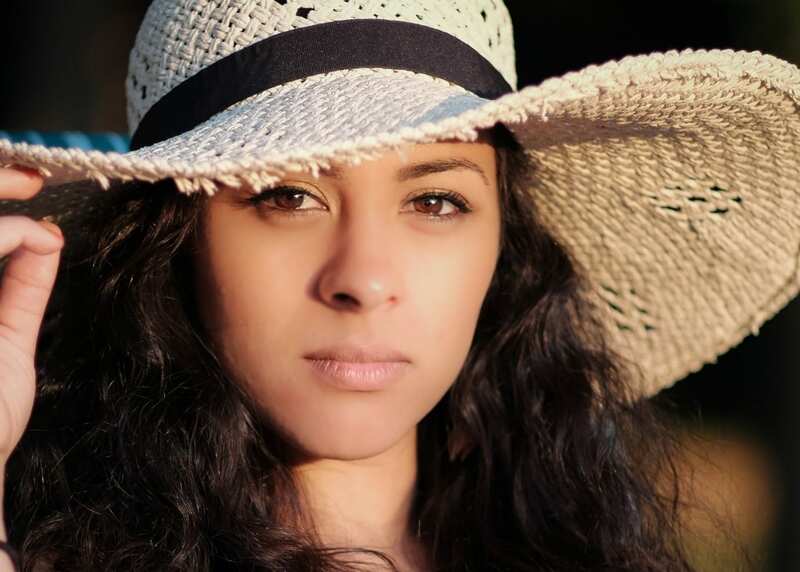 To avoid burning the sensitive skin on your face and ending up with skin that looks more like a leather handbag, it’s always a good idea to wear a hat and sunglasses when out on sunny days. Shading your skin against the sun stops the damaging UV rays causing premature ageing and spots of discolouration, so always have a hat and pair of sunglasses to hand. Healthy, glowing skin takes time and effort, so make sure that you keep up with your beauty routine and have regular treatments to keep your skin in tip-top condition. If you’re worried about the damage the sun has already caused to your skin, then there are a wide range of cosmetic treatments available to reduce discolouration and wrinkles caused by too much exposure to the skin – one such option is a skin peel. Speak to our friendly team to discuss treatment options to restore a healthy glow to sun damaged skin.